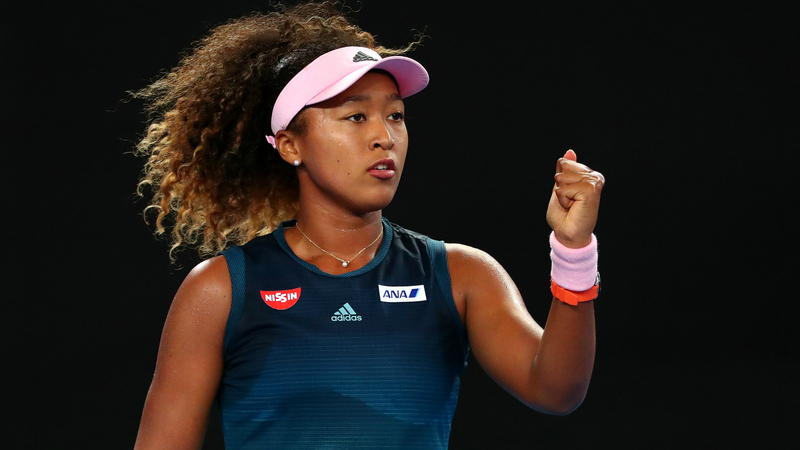 Naomi Osaka showed her class and power against Tamara Zidansek as she reached the Australian Open third round. US Open champion and fourth seed Osaka was too good in her 6-2 6-4 victory over Zidansek in humid conditions at Melbourne Park on Thursday. Osaka – aiming to become the first woman to win successive grand slams since Serena Williams claimed the 2014 US Open followed by the Australian Open, French Open and Wimbledon in 2015 – will face Hsieh Su-wei in the next round. Japanese star Osaka stormed out of the blocks after a brief rain shower delayed the start of the match as the Margaret Court Arena roof was closed. Osaka, who has never reached the quarter-finals in Melbourne, earned three break-point opportunities in the opening game and converted the third with a cheeky drop-shot winner, much to the delight of the pro-Osaka crowd. A couple of loose errors saw Osaka broken back, but the crowd favourite reclaimed the break immediately after sensationally guessing the direction of Zidansek's smash before consolidating for a 4-2 lead. Another break in the seventh game capped a fine first set for Osaka, one of eight winners in an impressive 28-minute opener against the Slovenian. Zidansek was not overawed, however, as she continued to go toe-to-toe with the Japanese star, breaking at 30-40 for a 4-2 lead. But just as Zidansek seemed to have the momentum, Osaka regained her composure and the break to move past the second round.